Clutter from hoarding greatly increases the risk of a fire. 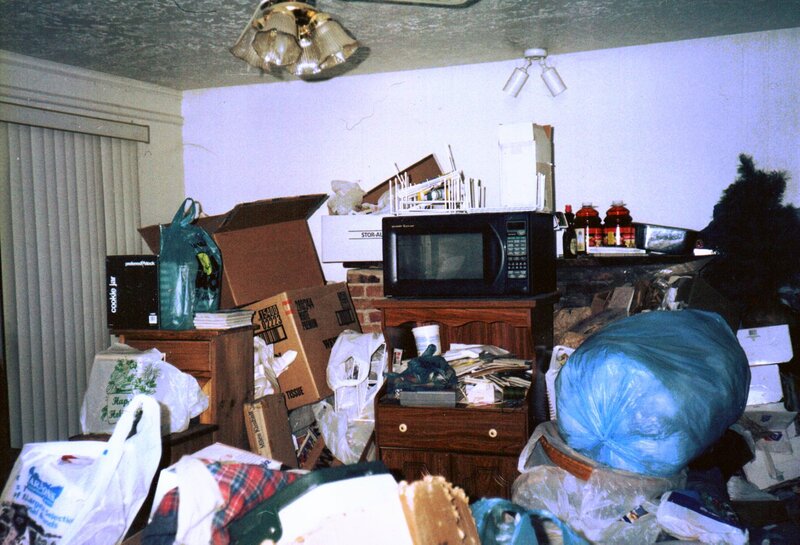 Hoarding is a serious issue that results in dangerous clutter and unsanitary conditions in a home. These conditions increase the risk of injury and other health issues, as well as the risk of fires. Those who struggle with hoarding disorder have an inability to part with any collected objects and many commonly hoarded objects like newspapers and old furniture are flammable. Extreme clutter not only increases the risk of a fire, but also allows fires to spread quickly which can result in devastating damage and even put the lives of those in the home in danger. If you know someone who is affected by hoarding, it is important to help the affected individual understand the risk of a fire and take certain actions in the name of fire safety. A buildup of flammable items near the stove or oven can cause a fire. Clutter buildup near heating units can catch fire, especially if a heating unit tips over into the clutter. The clutter buildup could damage electrical wires or invite pests that chew on wiring. Burning candles in a cluttered home is a major fire risk. The clutter can block exits in a home which is extremely dangerous if there is a fire. Clutter can restrict access through the home which may impede their ability to get to a fire. Blocked exits may trap them in the home. Falling objects can cause injury. The home is more likely to collapse under the weight of the clutter which can trap or seriously injure firefighters. The clutter makes rescuing people and pets much more difficult and dangerous. Discuss personal safety with the individual and try to avoid talking about the clutter. Make sure you show empathy for the individual and do not call it hoarding unless they do first. Assist the individual in coming up with a fire escape plan and practice it. Help them understand that they need to keep clear paths to the exits of the home at all times. Make sure the home has working smoke detectors and test them often. Talk to the local firefighters to discuss your concerns about the affected individual. They can probably also refer you to other community resources that can help. The clutter created by hoarding behaviors is dangerous in so many ways. The increased risk of a fire is one of the biggest dangers of hoarding because a fire can cause immense damage in a cluttered home and put the lives of those within in jeopardy. It is best to hire a professional to provide hoarding cleanup services but if the individual is not ready for that, discussing these fire safety tips can help lower the risk of injury. If a fire does occur in the home of a hoarder, professionals that provide fire damage restoration can help restore the damage caused by the fire and clear out materials that have been destroyed.